Did you know that only 27% of U.S. students in Grades 7-12 actually get 60 minutes of physical activity per day as recommended by the Centers for Disease Control (CDC)? 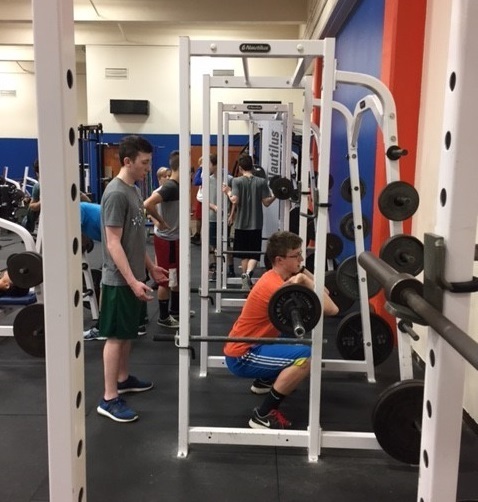 At Ridgefield High School, 41% of RHS students either engage in physical activity in the Physical Education Department or are enrolled in the high schools’ health/wellness classes. RHS offers 12 Physical Education and Health classes daily. Its program includes classes in core, toning, and strength and conditioning. The goals of the RHS Physical Education/Health Education Department are to gain understanding in fitness and strength concepts; to engage students in a variety of fitness, strength, conditioning and game activities; to improve a student’s fitness, strength and motor skills; and to encourage activity for a lifetime. According to the CDC, physical activity helps to improve cognitive performance and reduces depression and anxiety. 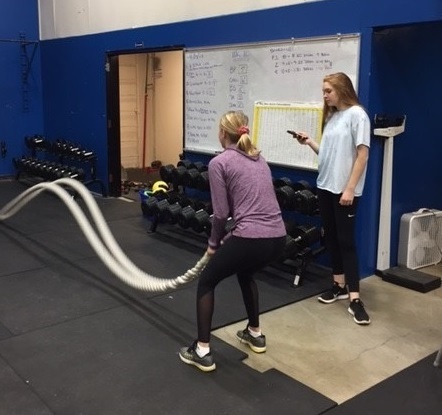 Freshman Annika Farley performs a 45-second battle rope training as freshman Emma Haynie keeps time. 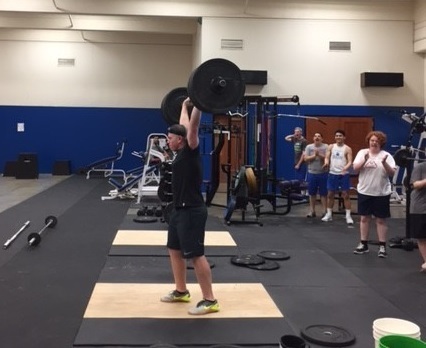 Junior Trent Meisner executes a 285-pound clean and jerk Olympic-style lift -- a personal best. Ted Beyer, Jason Buffum and Tom Zimmer comprise the very capable teaching staff in Physical Education/Health Education at RHS. Their combined teaching experience spans a remarkable 59 years.